On Thanksgiving morning, while most were still sound asleep in their beds, a large group of dedicated runners woke up, braved the early morning chill and participated in a run for charity. The Thanksgiving Day Charity Run, organized by and benefiting The Townwide Fund of Huntington, was broken into two events — a four-mile main event and a fun run for families and younger runners to test their legs and lungs in the early Thanksgiving air. 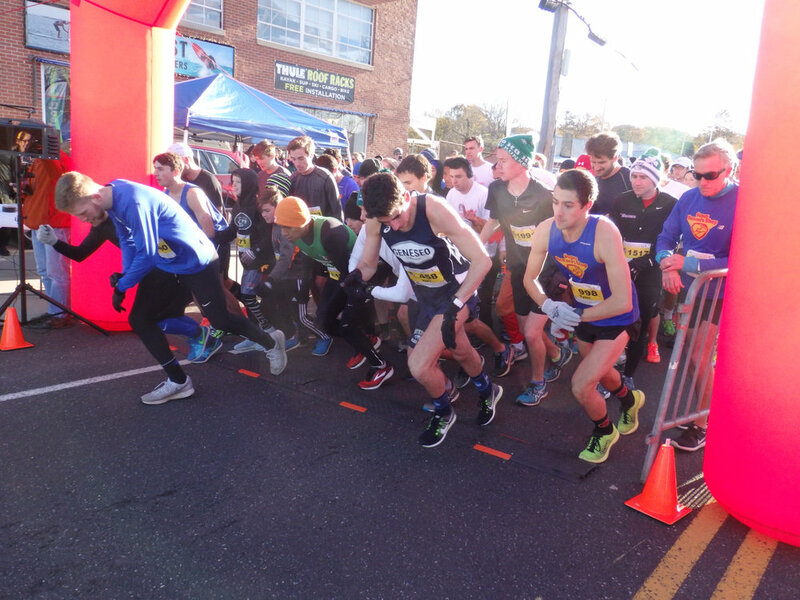 More than 300 runners enthusiastically started off the Turkey Trot in the fun run at 8:30 a.m. The event was staged at the American Legion post on Mill Dam Road in Halesite, where the runners also started and finished the races. Gloria Palacios, Townwide Fund executive director, said 2,180 people registered to run in the four-mile main event that included amateur and competitive runners, as well as those looking to entertain the Thanksgiving crowds by running the event in appropriately themed costumes. Townwide Fund has a long-standing tradition of Thanksgiving Day turkey trots. Palacios said the organization has hosted runs in the fall for more than 40 years, and the Thanksgiving Day race has been going on for more than 30 years. Palacios added that the event raised more than $40,000 for the Townwide Fund. The Townwide Fund of Huntington was founded in 1961 to raise funds within the Huntington community to assist local charities. The organization continues to give grants to help fund charities that provide health and human services to those in need in the Town of Huntington. The Townwide Fund has raised more than $10 million since its inception, and continues to actively partner with local charities to fund programs that benefit local residents.